What a cutie card!!! I love so much the combo of mint green and lilac colors!!! This pair is so darned cute. I love what good friends they are. It's sweet. They are so sweet together! Love this darling set. Darling card! 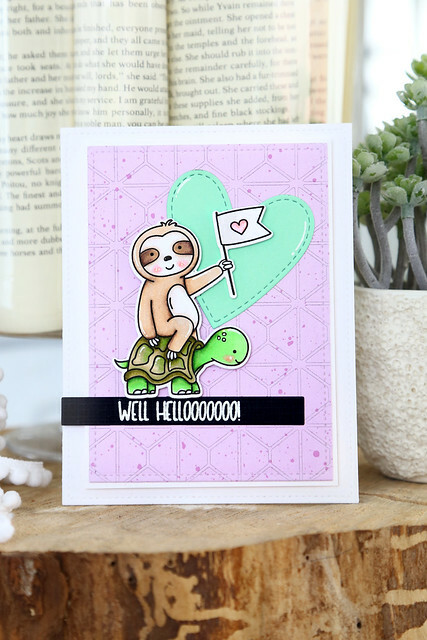 Love the way you colored the sloth and turtle! Pretty color combo on your card! They say that's how to win the game. Adorable!! Love those critters!!! So sweet. 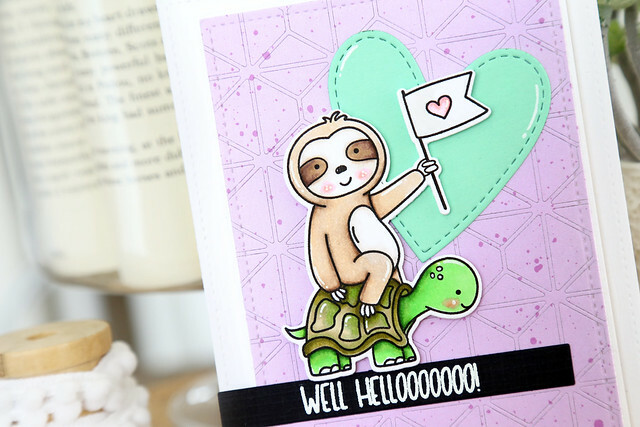 I love the way you used the coverplate die as a background! Adorable! You did a darling job with those critters. I also love the the heart and the die cut in the background for interest. Fantastic. I love this set 💖💖💖 and this card 👏🏻👏🏻👏🏻!!! So cute. I like the background and the colors. Adorable slow friends. Love the cute design. So cute!! And what a fun color combo! This was a genius idea!!! What's the sloth saying? "Wheeee!" lol! It's just perfect for those of us with ME/CFS who wish we had a turtle to help us go faster! Haha! THANKS for creating this!! Congratulations on another fabulous stamp set! Your card is beautiful - love the colours you've used!